Guangzhou Tody Electronics Co., Ltd.
Our major products is HID xenon kits, HID digital ballast and all types of HID Xenon lamps, such as H1, H3, H4 dunble, H4Hi/Lo, H4 LO,H7, H8, H9, H11, 880,881,9004, 9005, 9006, 9007, D2S, D2R, D2C,D1S,D1C, that fit for different kinds of automotives and motorcycles. They are sold throughout in Japan, Europe . America, Southeast Asia, Russia, Turkey etc. 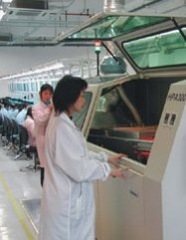 Rizhao Hidear Electronics Co., Ltd.
Guangzhou Jiatuo Auto Electronic Ltd.